It's been a couple of years since we had a contest - I think it's time to change that! 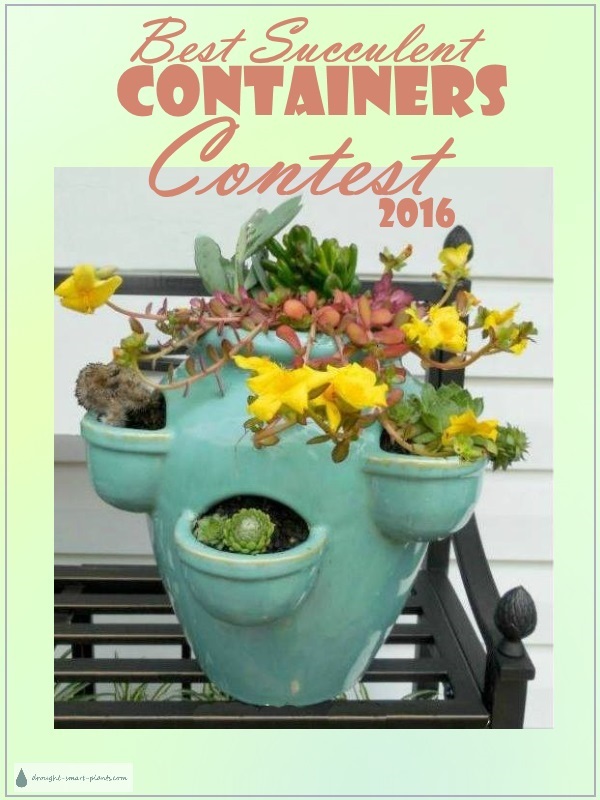 Welcome to the Best Succulent Containers Contest for 2016. Here's where you fill your favorite pot with succulents, let them grow a bit, then brag it up right here. There is no judging, just a whole lot of showing off. So get your thinking cap on, and get creative. 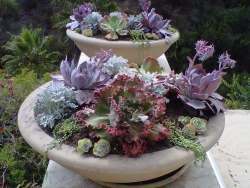 There is no limit to what you can imagine to plant with succulents; use some junk, or a funny hat, or some boots - whatever you like. See previous contests for some ideas; 2011, 2012 and 2013. Have a look at the rules before you post, and above all, have fun! Are you ready to brag? Let's get going - if your succulent containers are unique, unusual, funky and eyepopping, we want you! Add your pictures here; Click the button and find the first one on your computer. Select it and click on the button to choose it. Then click on the link if you want to upload up to 3 more images. Important note: this system will reject pictures bigger than 200 kb, so edit them to around 600 pixels across, and use a 'save for web' option if you have it on your photo editing program. Techno peasants, contact me for assistance. Join in the fun; which is your fave?